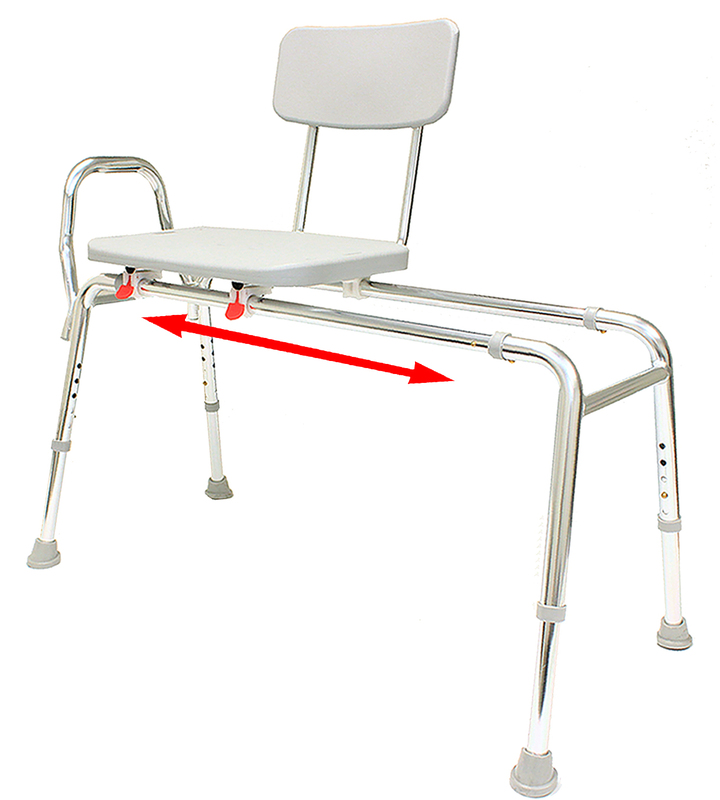 Regular: Base Length 39" - 40" Long: Base Length 43" - 44" XLong: Base Length 48" - 49"
Do you have limited mobility, or feel unsteady standing in the bathtub? Does someone you love feel unsafe climbing over the tub wall to take a shower or bath? Maybe they have trouble standing for long periods of time or can't lift their legs very well? Are you afraid of slipping and falling in the bathroom getting out of the shower? 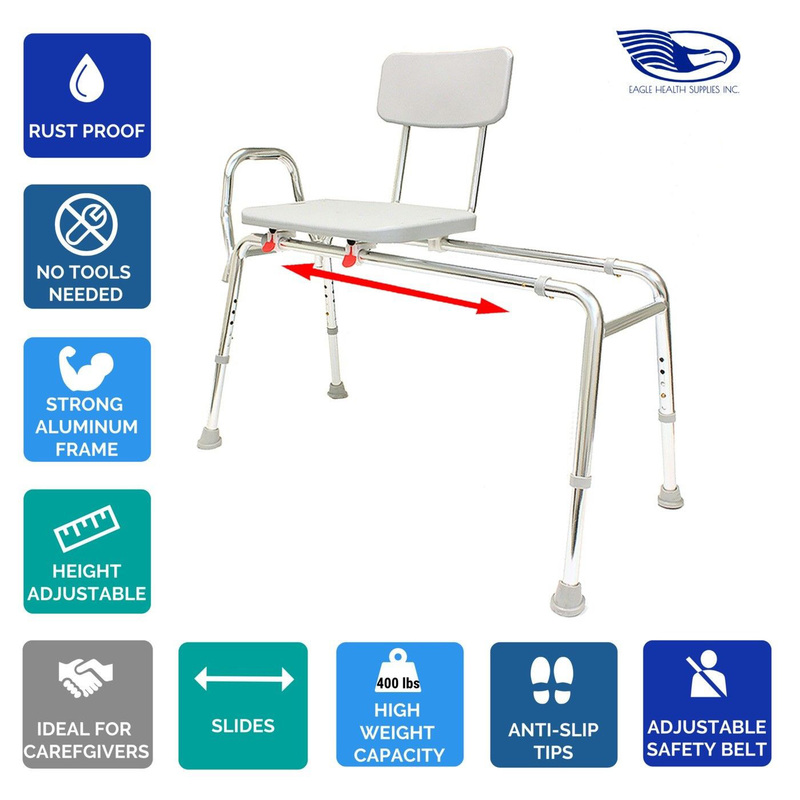 This Sliding Transfer Bench makes getting into and out of the bathtub easier and safer, and will give you or your loved ones a sense of confidence, safety and steadiness in the bathroom. A smart and easy solution to help prevent slip and fall accidents in the bathroom. Helping you and your loved ones feel safe and steady in the bathtub or shower. This bench can give you a sense of dignity and independence to bathe yourself with little to no assistance from someone else. 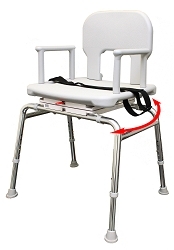 Or it can assist you as you care for your loved ones in the bathroom, and can help you reduce the back, neck, arm, and shoulder aches and strains which occur from repeatedly helping them in and out of the bathtub by eliminating the need to carry them. And unlike conventional transfer benches, you won't have to scoot yourself across the bench's seat to get into the bathtub. 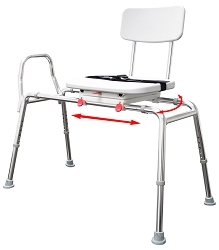 You can easily glide into the tub with this sturdy and safe bath transfer bench. NOTE: Please measure your bathroom and bathtub or shower dimensions carefully to make sure this product will fit your specific bathroom. This is a non-returnable hygiene item and cannot be returned once opened. 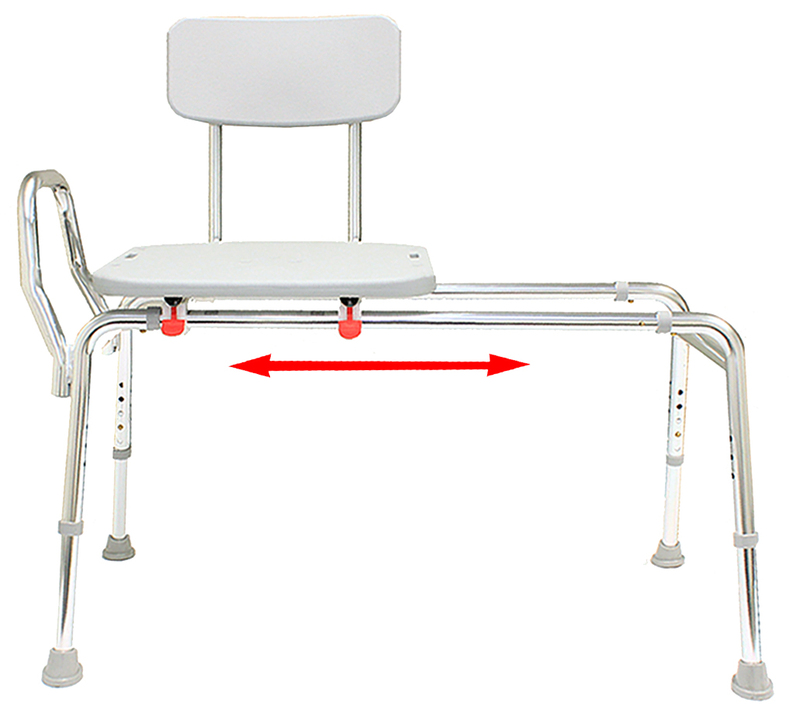 75003 - Armrest (single) for 77-series Sliding Transfer Benches and 75-series Shower Chairs. NOTE: For your safety, we recommend installing only one armrest on the seat. Armrests are not intended to bear the user's body weight. They are only intended to rest your arms or hands.